South Korea possesses short-range ballistic missiles, cruise missiles, and a potentially dual-use aerospace program. A series of bilateral guidelines between South Korea and the United States govern Seoul’s ballistic missile program. These guidelines have evolved over time to allow for greater range and payload capacity. South Korea joined the Missile Technology Control Regime (MTCR) in 2001 as a condition of its revised guidelines with the U.S. The following year, it also became a member of the Hague Code of Conduct against Ballistic Missile Proliferation (HCOC). In October 2012, South Korea and the U.S. again agreed to revise the guidelines on ballistic missiles, increasing the range from 300 to 800 km with 500 kg payload. South Korea has a series of short-range ballistic missiles based on the Nike Hercules design. Additionally, it deploys two series of cruise missiles, known as the Haesong and Hyonmu with ranges that could potentially reach 1,500 km. While South Korea no longer possesses WMD, these missiles can carry WMD payloads. Gwak Chang-ryul, "사정거리 1,500 km 國産 크루즈 미사일 실전배치 [Indigenous Cruise Missile of 1,500 km Range Deployed],” Chosun Ilbo, 17 July 2020, http://news.chosun.com. Chung Yong-soo, "Special knowledge <400> 방위사업 40년 [40 Years of Defense Industry]," Joongang Daily, 12 January 2012, http://article.joinsmsn.com. Koo Sang-Hoi, “한국 미사일 개발의 산 증인 구상회 박사 회고(1) [Reminiscence from a Living Witness of the Korean Missile Program, Dr. Koo Sang-hoi]” Shindonga, February 1999, www.donga.com. Koo Sang-Hoi, “한국 미사일 개발의 산 증인 구상회 박사 회고(1) [Reminiscence from a Living Witness of the Korean Missile Program, Dr. Koo Sang-hoi]” Shindonga, February 1999, www.donga.com; “South Korea,” Federation of American Scientists, 3 February 2000, www.fas.org; Oh Won-chul, 한국형 경제건설 [Korean Economic Construction Model] (Seoul, CEOI, 1996) p. 560. Oh Won-chul, 한국형 경제건설한국형 경제건설 [Korean Economic Construction Model] (Seoul, CEOI, 1996) p. 563. Kim Byung-ki, “포착 10분 이내 북한 미사일 기지 격파하라 [Destroy North Korea’s Missile Base within 10 Minutes of Detection]” Shindonga, 25 September 2012, http://news.naver.com. Kim Hak-Jin, "'北 미사일 억지력' 길을 찾아야 [South Korea Should Have Missile Deterrence Against North Korea]" Donga Ilbo, 7 October 2009, http://news.donga.com. Don Oberdorfer, The Two Koreas: A Contemporary History (Indianapolis, Basic Books, 2001) pp. 68-74. Daniel Pinkston, “The New South Korean Missile Guidelines and Future Prospects for Regional Stability,” Strong & Prosperous, International Crisis Group, 25 October 2012, www.crisisgroup.org. Lee Eun-young, "ADD 무기개발 3총사의 핵, 미사일 개발 비화 [The ADD Trio’s Secret Story of Nuclear and Missile Development]" Shindonga vol. 567, 2006, pp. 276-287. Cha Young-gu, 국방정책의 이론과 실제 [Principle and Reality of Defense Policy] (Seoul, Oleum, 2002) p. 89. Yoo Yong-won, “|무기의 세계| 한국군 탄도 미사일 대표 주자 현무 미사일 [Korea’s Foremost Ballistic Missile, Hyunmoo]” Navercast, 16 April 2012, http://navercast.naver.com; Kim Do-hyung, “한-미 미사일시험 논란 [U.S. - Korea Missile Tests and Controversy]" Hankyoreh, 20 April 1999, http://m.hani.co.kr. Gang Hun, “[Why] 어느 사업가의 고백 ‘내가 ICBM (대륙간 탄도미사일)한국에 들여왔다[[Why] A Businessman’s Confession: I brought South Korea an ICBM],” The Chosun Ilbo, 25 June 2011, http://news.chosun.com; Daniel Pinkston, “The New South Korean Missile Guidelines and Future Prospects for Regional Stability,” Strong & Prosperous, International Crisis Group, 25 October 2012, www.crisisgroup.org. Oh Dong-yong, “[특종] 사거리 50 0km 국산 탄도미사일 ‘현무-2B’ 실전배치했다! [[Exclusive Report] Hyonmu 2-B with 500 km Range is Deployed]” The Chosun Monthly, no. 3, 2011, http://monthly.chosun.com. Sang-Hun Choe, “U.S. Agrees to Let South Korea Extend Range of Ballistic Missiles,” The New York Times, 7 October 2012, www.nytimes.com. KJ Kwon, “South Korea Says U.S. Agrees to Extend Seoul’s Ballistic Missile Range,” CNN, 7 October 2012, www.cnn.com. Jeffrey Lewis, “RoK Missile Rational Roulette,” Arms Control Wonk, 9 October 2012, http://lewis.armscontrolwonk.com. Jeffrey Lewis, “Missiles Away!,” Foreign Policy, 9 October 2012, www.foreignpolicy.com. Office of the President of the Republic of Korea, Cheong Wa-dae, “한미 미사일 지침 개정 주요 내용 및 의미,기대효과 [The Significance and Expected Effect of The Revision of The Missile Agreement Between Korean and U.S.]” 23 October 2012, www.president.go.kr. “Hae Seong (SSM-700K),” Jane’s Strategic Weapon Systems, 18 October 2012. “S. 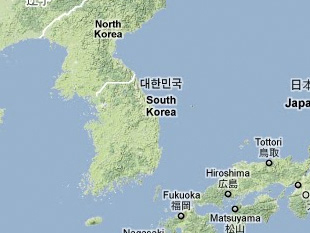 Korea Deploys New Missile Capable of Hitting Anywhere in N. Korea,” Yonhap News Agency, 18 April 2012, http://english.yonhapnews.co.kr. “KSR 3 [Korea Surrounding Rocket 3],” Doosan Encyclopedia, http://terms.naver.com. “우여곡절 나로호 [Naro-ho in Complications],” Hankyoreh, 29 November 2012, www.hani.co.kr. Kim Tong-hyung, "Satellite Fails to Enter Orbit," Korea Times, 25 August 2009, www.koreatimes.co.kr. Tong-hyung Kim, "Naro Rocket Blows Up in Midair," The Korea Times, 10 June 2010, www.koreatimes.co.kr. Jung-yoon Choi and Barbara Demick, "South Korea Launches Satellite into Orbit," The Los Angeles Times, 30 January 2013, www.latimes.com. Wa Zhou and Guangjin Cheng, "Republic of Korea Hopes for Third Time Lucky on Rocket Launch," China Daily, 30 January 2013, http://usa.chinadaily.com.cn. Rui C. Barbosa, “South Korea Launch of KSLV-1 – Russia Claims it Failed,” NASA Spaceflight, 25 August 2009, www.nasaspaceflight.com. Hyong-ki Park, “Glitches do not Deter Korea’s Space Program,” The Korea Herald, 29 November 2012, http://khnews.kheraldm.com. Footage from KBS (Korean), “South Korea-Ballistic Missile & Cruise Missile,” 19 April 2012, via: www.youtube.com; Choe Sang-hun, "North Korea Threatens South with Military Action," New York Times, 23 April 2012, www.nytimes.com. Kim Hee-jin, “South Shows off Missiles of its Own,” JoongAng Daily, 20 April 2012, http://koreajoongangdaily.joinsmsn.com; “Kim Jong Un Has Photo Session with Participants in Military Parade,” KCNA, 20 April 2012, www.kcna.co.jp. "S. Korea Deploys New Missile Capable of Hitting Anywhere in N. Korea,” Yonhap News Agency, 18 April 2012, http://yonhapnews.co.kr. Kim Eun-jung, “S. Korea Readies Military After N. Korea Nuclear Test,” Yonhap News Agency, 13 February 2013, http://yonhapnews.co.kr. Jack Kim, “South Korea Extending Ballistic Missile Range to Counter North’s Threat,” Reuters, 4 April 2014, www.reuters.com. Oh Seok-min, “S. Korea to Raise Defense Spending by 2020,” Yonhap News Agency, 19 April 2015, http://yonhapnews.co.kr. “S. Korea Test-fires Longer-range Ballistic Missile,” Yonhap News Agency, 3 June 2015, http://yonhapnews.co.kr.